We hope you’re all having a good day! We realized it’s already been two whole weeks since we last talked to you guys! Time flies when your doing some good old game developing! Per usual, we have been doing the best we can and worked hard to develop the best rafting experience possible for you all to enjoy! A lot has been done these past two weeks but the features that have been worked on are still in development, which means there isn’t a whole lot for us to show you here in the blog this week. However, we don’t want to leave you all completely empty handed! 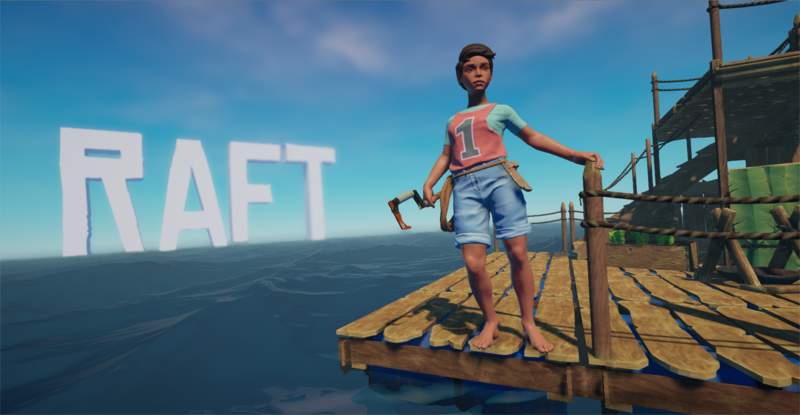 We have heard a lot of you wanted something to protect your precious raft from the dangers that lurk in the waters (more specifically a certain shark…). We totally understand how annoying it is to run around poking the shark in the face all the time! You might want to make the Raft a bit more sturdy, more resistant to shark teeth. Well, fear not, for it is here! The reinforced foundation! This thing will be able to handle a lot more force than your regular foundations. 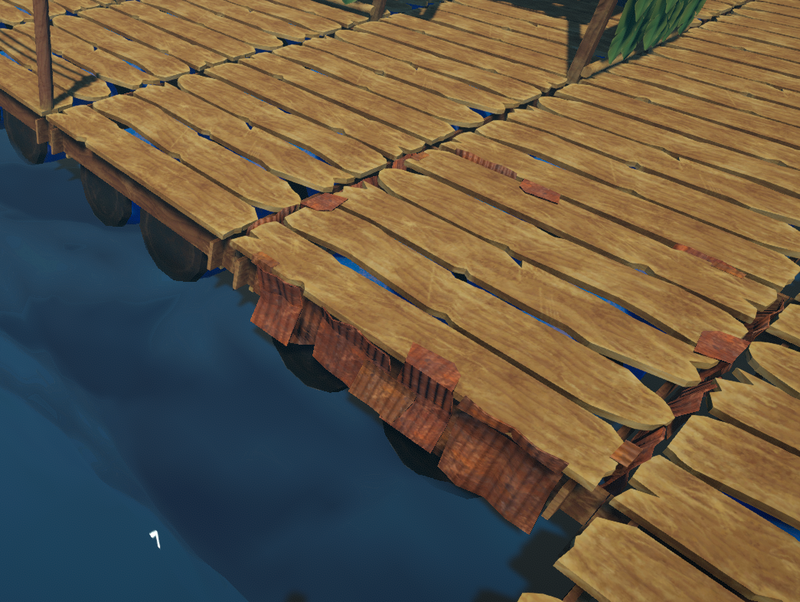 However, depending on the size of your raft, it might take a while to cover your whole raft with this since it’s mainly made by scrap, which is quite a precious resource on the ocean! If you remember, we posted a concept of our character a while back! 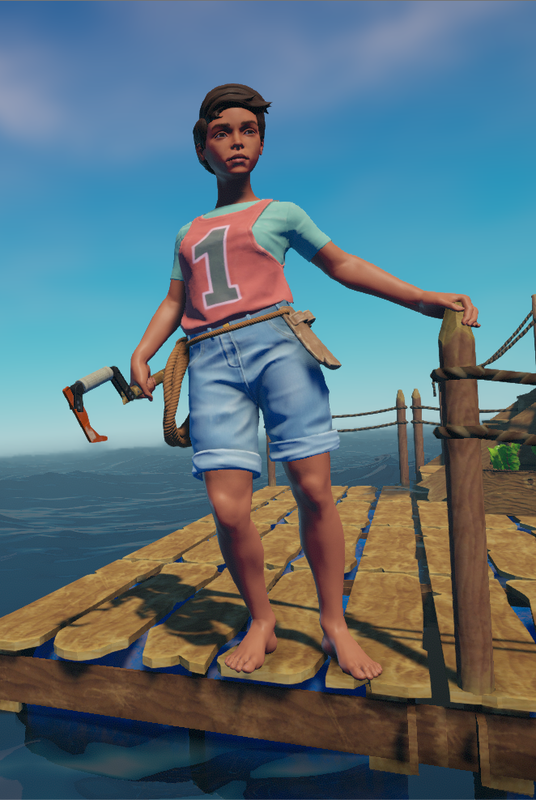 We thought we’d show you how she turned out in the game! After a long wait, let us present… our fearless survivor! 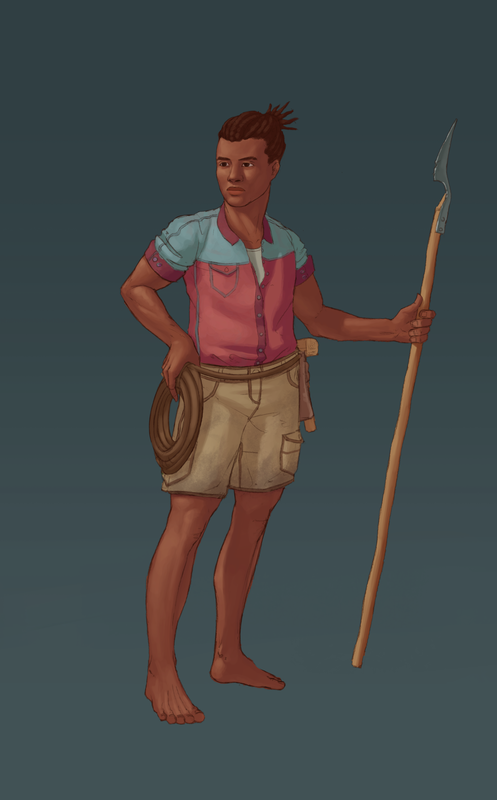 We are also working on a second character. He is not quite ready for the game yet, but he is coming along nicely. The design is not completely finished, and may change, but we thought we’d give you a sneak peek anyway! As always, please tell us what you think about everything! Have a good weekend and we’ll talk to you soon! me gusta mas el segundo.. por que? por que pienso que se ve mas cariveño y quiero preguntar algo mas!! se podra modificar al personaje? asi como un sombrero, color de piel, ponerle un nombre y esas cosas seria mas interesante!!! Saluddos desde Guatemala!! HAHAHA please do as a rare item you can find amongst the floating debris. Adding on to the defense system, it would be nice to have an “alert” that beeps when a shark is attacking so you always know when a shark is attacking. any ideas when we can see some early access on steam? From what I remember anyone that wants to publish on steam has to pay like 500€ and get it approved. Not sure tho, the conditions might have changed. Weather physics would be lovley! Storm, big waves, wind! It looks so amazing. This game is coming along nicely.